BACKTOFRANKBLACK.COM: EXCLUSIVE! Lance Henriksen thanks BacktoFrankBlack and Millennium fans! EXCLUSIVE! Lance Henriksen thanks BacktoFrankBlack and Millennium fans! To close out the Lance Henriksen birthday celebration, we give you an EXCLUSIVE message from the man himself. Lance contacted BacktoFrankBlack and wanted to pass on his sincere thanks to all the Millennium fans who helped celebrate his birthday. He also wanted us to pass on to all the Millennium fans that it's you who will help get the Millennium movie made. Keep sending those letters and postcards, buying the DVDs and just continue to spread the word about the Millennium movie. Lance also thanked the people behind BacktoFrankBlack for their continued diligence and sacrifice as they continue to fight to get the Millennium movie made. On behalf of BacktoFrankBlack and all the Millennium fans around the world, we will continue the fight for a Millennium movie!! THIS IS WHO WE ARE! 5 Responses to "EXCLUSIVE! 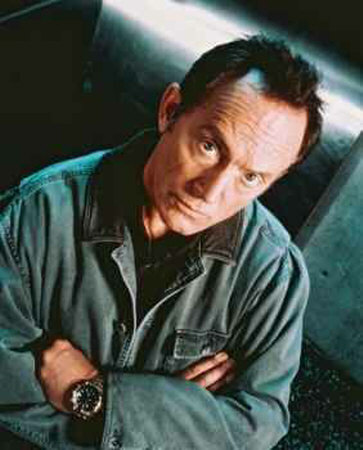 Lance Henriksen thanks BacktoFrankBlack and Millennium fans!" What a class act Lance Henriksen is for recording a thank you message. Well thank you Lance for being involved in this campaign. And thanks to Troy and Jim among others who keep this hope I have for more Millennium. Lance, the coolest cat around, and what a nice guy, to boot! If karma exists, then this movie sure as hell should get made. Thanks Lance for all your kind words. You are truly a one of a kind actor! Thanks for your support in this campaign.